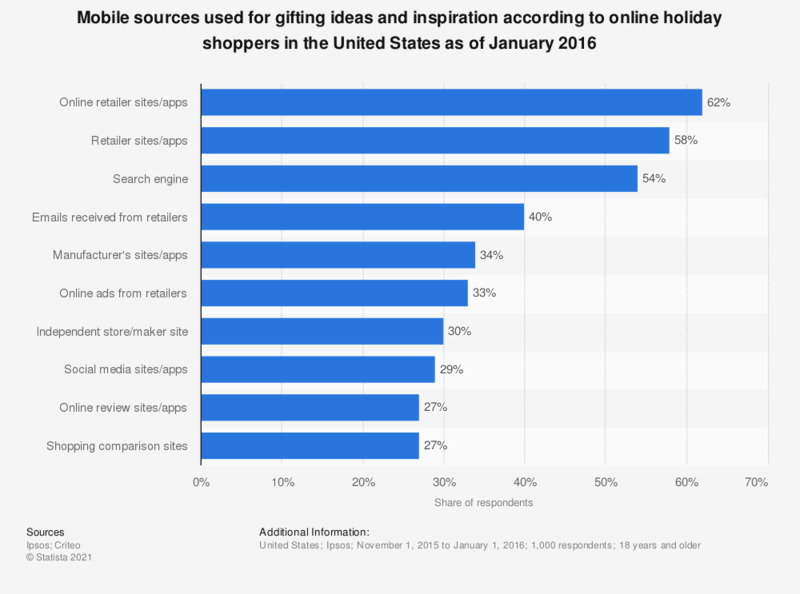 This statistic presents the most popular mobile sources used for gifting ideas and inspiration according to online holiday shoppers in the United States as of January 2016. In total, 62 percent of respondents used online retailers sites and apps for gifting ideas and inspirations. Think back to when you Looked for Ideas & Inspiration for holiday gifts in 2015. Select all the sources you used on your smartphone or tablet to Look for Ideas & Inspiration for 2015 Holiday Gifts.